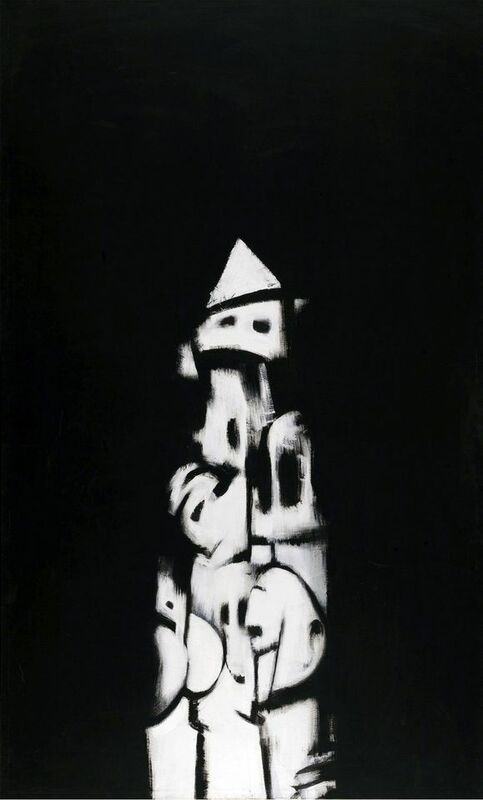 The Whitney Museum of American Art has acquired Norman Lewis’s American Totem, a 1960 painting by one of the few African Americans associated with the New York School of Abstract Expressionist artists. The totem in the work references a hooded Ku Klux Klansman yet is composed of forms also evoking skulls and masks. Lewis (1909-1979) executed the painting while shifting from looser, brighter gestural calligraphic forms to a series of black-and-white paintings that delved into a fraught period in American history, says David Breslin, a Whitney curator and director of the collection. The painting was acquired from Lewis's estate at an undisclosed price through the Michael Rosenfeld Gallery. The Whitney notes that Lewis was the only black artist to take part in closed-door meetings organised in 1950 by Willem de Kooning and Franz Kline to define the Abstract Expressionist movement, with Alfred Barr serving as moderator. He was also a founding member of Spiral, a shortlived collective of African American artists who ruminated on the contradictions they faced in American society and organised a group show in 1965. Like Romare Bearden, Charles Alston and other members of that group, Lewis felt that art could play a part in the civil rights struggle. Though he had a solo show in New York in 1949, Lewis was largely marginalised and did not benefit from the fame accorded to many of his Abstract Expressionist peers. A comprehensive survey of Lewis’s work organised by the Pennsylvania Academy of Fine Arts in 2015 has helped to renew interest in his paintings, including the works with a civil rights theme. American Totem is to go on view on 28 June as part of a reinstallation of works dating from 1920 to 1965 on the museum’s seventh floor, Breslin says. It will hang in a gallery devoted to the Abstract Expressionists, entering into a dialogue with paintings like Willem de Kooning’s Woman and Bicycle from 1952-53 and Franz Kline’s black-and-white Mahoning from 1956.